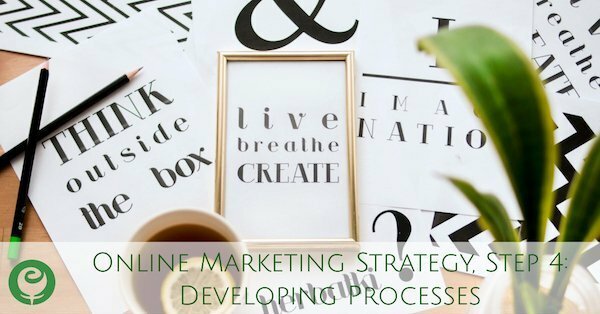 Developing processes for your online marketing strategy (and, really, anything else in your small business) makes your day-to-day more efficient and less hectic from time, organizational, and stress standpoints. Processes typically also make your efforts more effective overall because processes mean you develop a lot of consistency in what you do, when you do it, and how you do it. The tricky part of developing processes for your online marketing strategy and small business is that the exact method that works for you isn’t going to be the exact method that works well for the next small business owner. So with that being said, the below guidelines can help you in developing your own processes for the content creation and overall execution of your online marketing strategy. Let’s take a look at how you can develop efficient, effective processes that you can stick to in order to help your online marketing strategy flow as smoothly as possible. Know when you work best This could be the time of day or the day of the week, and the best time or day might be different depending on the task. For example, maybe you are better suited for writing your next blog post or your email newsletter first thing in the morning because your mind is fresh and the busyness of the day hasn’t begun. And maybe you know Monday is your slowest day at work, so that’s a great day to record videos and create social media graphics and posts. It’s always going to feel like a much greater burden to try to force yourself to complete an online marketing task when you don’t have the energy or creativity to do so. One of the best things about online marketing is that many regular tasks can be prepared days ahead of being used, so you can most easily work in those online marketing tasks with the rest of your weekly work flow. Content curation Your social media content should be a mix of content that directly promotes your business, and content created by others that is relevant and complementary to your business and client type(s). To make it easier to locate content for curation, you can subscribe to email lists of sites you like to follow for the latest in your industry so you can have news or educational articles sent to your inbox, set up Google Alerts in the keyword phrases that describe what you do, and follow social media accounts relevant to your industry and business either personally or as your business account. Work in batches If you can stay focused on 1 task for a longer period of time, it’s better for work efficiency and your brain than it would be if you were constantly switching gears between different activities. That’s why you’ll probably find completing like online marketing tasks in batches to go faster and more easily than what you are used to. For example, sit down, write, and schedule a week’s worth of Facebook posts at one time, create a couple weeks’ worth of Instagram posts in one sitting, and write a couple blog post drafts back to back when you are in a writing mood. Create templates Graphic and image creation is a common online marketing task to give small business owners’ heartburn. They feel like they aren’t creative enough or don’t have the design eye needed to do their graphics justice for their brand. Thankfully, most every popular image creation tool (Canva, Stencil, Easil, etc.) provides templates that can be resized for all the popular social media uses. The best thing you can do is spend some time looking through template options and customizing the ones you like in the sizes you need, and with your brand’s colors, fonts, and logo. That way you can save a ton of time (and creative frustration) each time you sit down to create another batch of blog post images, email images, and social media posts. Spreadsheet (or doc or app or paper and pencil) I prefer to keep things as simple as possible. Google Docs and Google Sheets are two of my favorite work tools and are completely free to use, reside in the cloud, and can be shared between co-workers. One of my favorite uses of spreadsheets is for quote or tips images. I can keep track of what my full list of online marketing tips is, if the image has already been created in the 2 sizes I need, and what post copy I’m going to publish along with the image. Two more favorite use of Sheets is to keep track of Pinterest pins as well as promotional Twitter tweets. For Pinterest, I can track what the pin is and accompanying link, against what board it’s been pinned to. For Twitter, I can keep track of product or website links, their descriptions, and what copy accompanies each in a tweet. Doing this helps me to remember what work’s been done and what still hasn’t been covered. Tools You don’t need to do this all on your own…you can subscribe to one or more tools to help you get the job done. It might be a social media management tool that allows you to schedule posts in advance or it might be an image creation tool to use for all your social media graphics, blog images, and video thumbnails. While you can’t automate all of your online marketing (and shouldn’t try to), it’s also ineffective from time and stress standpoints to try to do it all manually or “in the moment”. It’s worth the cost to get some assistance from an online tool or software…just remember to choose wisely! Outsource what you don’t like or aren’t good at Just as important as all the other processes you are working to develop…remember that you don’t have to do all of the things, all of the time! Not everything needs to be a ‘strength’ of yours and something you genuinely want to put your time and energy into. 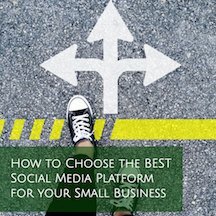 Ask one of your employees if they are interested in creating social media posts, taking photos inside your business, writing social media posts or pulling together elements for your newsletter. And if you are a solopreneur or just don’t have someone else on staff with the skills to fill in where you don’t excel, consider outsourcing those tasks to make sure they get done and get done well.